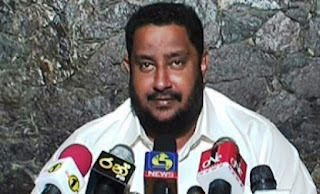 Deputy Minister Nishantha Muthuhettigama complained that he cannot face his people after the budget speech as they were questioning as to what the budget had offered to them. Speaking at a meeting in Galle, Muthuhettigama said that he could face his people before the budget speech. However, after the budget speech, he is unable to answer their questions, Muthuhettigama went on. The increase of the minimum fine for traffic offenses and some other increased levies are being questioned by the people, he added. However, Muthuhettigama said that he will vote for the budget according to the decision of the SLFP. He requested Finance Minister Ravi Karunanayake to remove the measures which hit the people hard.